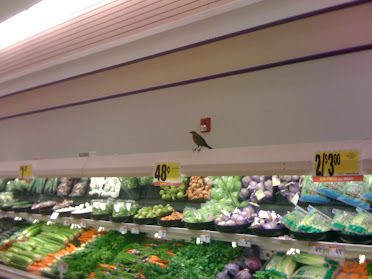 I was in the store picking up fresh lettuce when I noticed a bird living in it. 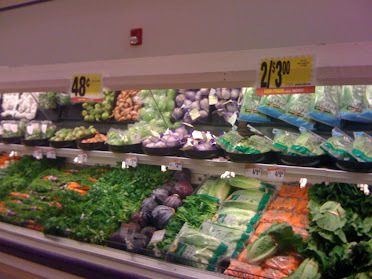 I grabbed my phone but mr. camera shy flew over to the packaged lettuce then the top of the store. More reasons to wash your food lol. I hope he wasn’t pooping there. Can you spot the bird in these pictures?